As someone who's very recently gotten married myself, I understand the process of choosing the perfect photographer... It can be confusing, overwhelming, and downright time consuming. Imagine enjoying your wedding day, being fully present in every moment, celebrating your partnership with the people you love most. A few weeks later, you sit down with your partner to view your photo gallery. You discover that because you can only be in one place at a time, there are moments you didn't even remember experiencing! The wedding day itself might have felt like a blur but my ability to shoot from the background and capture authentic, captivating images means you've got a collection of incredible, candid moments to enjoy for years to come. The magic, the wonder, and the emotion of it all are yours to keep. Lydia was a phenomenal wedding photographer. She captured every single moment in beautiful perfection, especially those, that as the bride and groom, we didn’t have time to take in during the moment. She was constantly moving, always in the best position, and such a delight to have around. Best of all, she had photos ready for us during our reception to share with our guests and had the rest available the very next day. And not just a few dozen, but over 100 pictures! She’s truly a master of her craft, and we were lucky to have such a caring, professional and enthusiastic photographer for our special day. These lovebirds rented an entire villa in the French countryside for an intimate, 30 person wedding surrounded by lavender and bathed in golden sunlight. We partied and danced for 4 days straight. They were married at Chateau la Durantie. 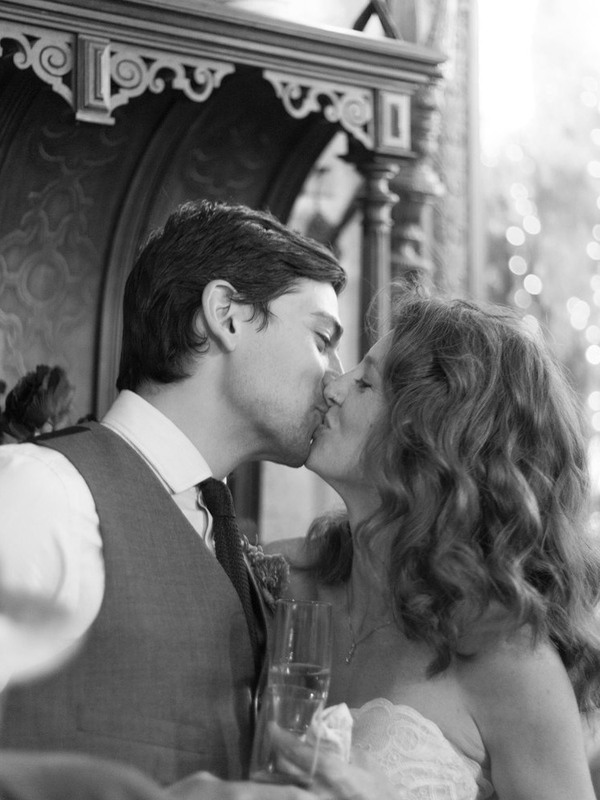 These two were married in Manhattan, surrounded by family, friends, and a lot of beautiful light. We photographed at The Marlton Hotel and Hundred Acres. Each time we return to our wedding photographs we are captivated by new details, and instantly brought back to our special day. There is no doubt that Lydia captured our love and joy, but also a unique artistic perspective of an outsider looking in, as if our day was captured in a glass ball. Ethan and Lori met years ago while working at the same maple syrup stand at the Union Square farmer's market. They squeezed 30 of their closest friends and family behind the same stand, hired two buskers from the subway to serenade, and included their young daughter in their vows. They were married in Manhattan. We photographed at Union Square and Lillie's. Lydia is all around fantastic. She did a great job of balancing being goofy with serious, and keeping us always relaxed, but also on track. 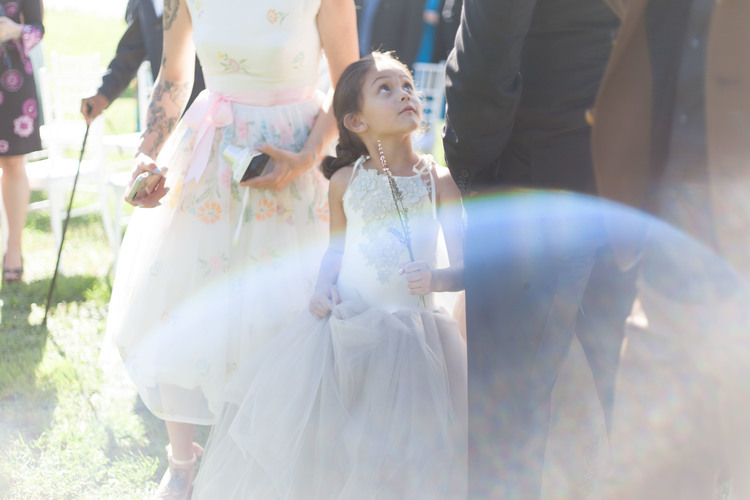 She managed to blend in beautifully - we don't remember seeing her once during the ceremony and yet, magically, we have all these fantastic pictures! Lydia was very open and responsive from start to end and was our favorite vendor to work (and have fun) with! This pair had been together for nearly a decade before deciding to tie the knot. 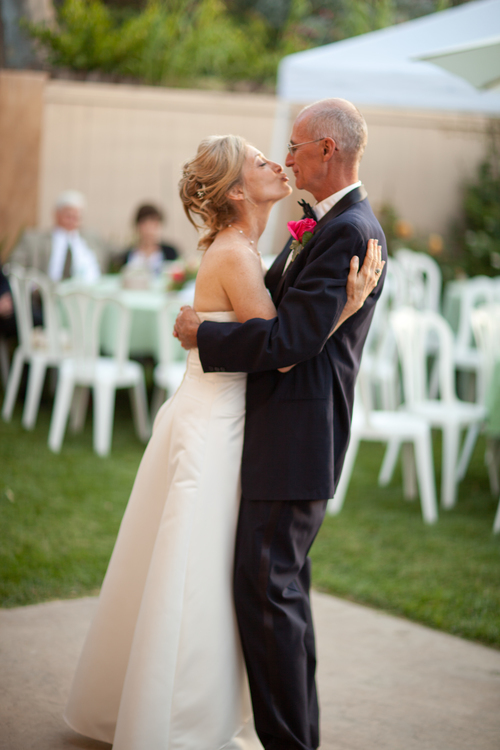 Their wedding was a celebration of pure love and family. They were married in Burlington, Vermont. Lydia was organized and very knowledgeable about what she was doing, yet she went about doing her job in a lovely, gentle way. She was fast and efficient, got shots of everything but I never felt she was obtrusive or pushy. The photos are wonderful; professional as well as creative and fun. Having grown from his first marriage, Ed knew his second partner would have three qualities: she would have been previously married, have kids of her own, and she would not be a psychologist. Margie surprised him by breaking all three of his rules and stealing his heart in one fell swoop. The two were married in their backyard in Los Angeles, California. For details on my specific services and rates, fill out the appropriate form below. Make sure to include the name of your favorite coffee shop so I can take you out for a cup! Get pretty photos in your inbox!